Providing 24 hour cover, 365 days a year. Barron Fire & Safety specialise in fire alarm systems both conventional and addressable. 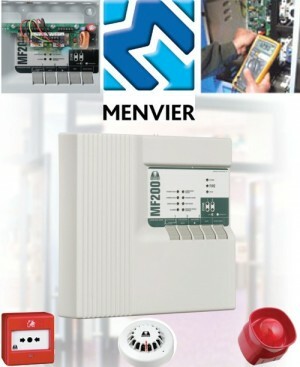 We are an approved Menvier service agent providing a 24-hour emergency support system and cover. We offer a wide range of services to meet the demand of today's commercial and industrial needs with individually tailored fire alarm systems. Barron Fire & Safety offer a comprehensive installation, commissioning, maintenance & breakdown support of fire alarm systems. Please contact Barron Fire & Safety Ltd for your fire alarm system requirements. Installing, commissioning, maintenance & breakdown support of Fire Alarm Systems around Leinster and areas of Munster: Dublin, Kildare, Wicklow, Meath, West Meath, Louth, Longford, Offaly, Laois, Carlow, Kilkenny, Wexford, Waterford and Tipperary. BARRON FIRE & SAFETY LTD Tinniscully, The Rower, Inistioge, Co. Kilkenny, Ireland.